Who built this website, and who's running it? The site was built and is maintained by myself. Why did you choose to host the missions and not just compile the links of sites people could go to download them? Because those links were not dependable, they took you to other sites, sites where you had to be a member, where you had to wait for a timer, had multiple download links confusing you as to which one is for a mission or file you wanted. Its easier to just download a number of missions from one place instantly, then it is to chase down a link to download page, or forum thread, so i had solved a problem for both myself and the community! The missions and files hosted on the site here are from BIS forums, and IF forums, and from community members submitting and releasing their missions. What is your motivation or inspiration for building this site and hosting Iron Front missions? My motivation is the need to simplify stuff, basically I love to compile things I'm interested in, I really hate clutter and disorganization, plus one of the main reasons was that the missions that were available made by players of the game used hosts that had ads, other download buttons, timers, and many other things that really cost you alot of time just to get a file for the mission you wanted. I found finding missions not to hard, but they were scattered throughout the community on forums, and other sites, i felt the need to consolidate, simplify and make missions directly available on a host that allows you a one click download. Other then that I enjoy WW2, and im a real fan of the Ostfront (Eastern Front ) of WW2, and I also enjoy building websites for subjects that interest me. What is the pc game Iron Front: Liberation 1944? 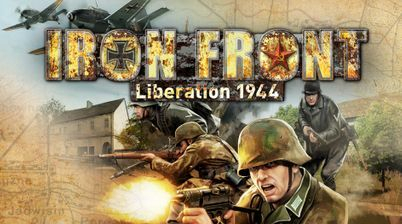 Iron Front Liberation 1944 game is a WW2 based game on the theater of the Ostfront or East front, built by AWar the former OFP Lib mod 41-45 mod team in OFP (Operation Flashpoint). The games uses the RV engine that Arma2CO runs on. Is the site affiliated with the mod teams and game developers? No it is not, the site here is independently built and maintained by me Gunter Severloh, I am just a fan of the game, and my site has nothing to do with IF44 game mod teams or official companies.